إذا كنت تبحث عن عقار بموقع جيد في المدينة، فقد وجدت ضالتك في Pipi Dune Bed & Breakfast. يحظى هذا الفندق ذو 4 نجمات بمكان ممتاز يسمح بالوصول إلى المعالم السياحية الأكبر في المدينة، فهو يبعد مسافة 2 km عن صخب المدينة. يوفر العقار بفضل موقعة الجيد وصولاً سهلاً إلى أهم معالم المدينة.
. إن Pipi Dune Bed & Breakfast حريص على توفير الراحة للنزلاء، فلا يوفر الموظفون جهداً في تقديم أفضل الخدمات وضمان حسن الاستقبال. يقدم الفندق فرصة للاستمتاع بشريحة واسعة من الخدمات بما فيها: واي فاي مجاني في جميع الغرف, تسجيل وصول/خروج سريع, تخزين الأمتعة, واي فاي في المناطق العامة, صف السيارات . استمتع بوسائل الراحة الراقية في الغرف أثناء إقامتك هنا. بعض الغرف تتضمن تلفزيون بشاشة مسطحة, حمام إضافي, مرحاض إضافي, كرسي عالي للأطفال, مواد تنظيف لمساعدتك على استعادة طاقتك بعد يوم طويل. يقدم الفندق خدمات رائعة كمثل مسار جولف - ضمن 3 كم, حديقة لمساعدتك على الاسترخاء بعد نهار طويل من النشاط والتجوال في المدينة. مهما كانت أسبابك لزيارة المدينة، فإن Pipi Dune Bed & Breakfast هو الخيار الأفضل لإقامة مثيرة وممتعة. We felt so welcome in the Pipi Dune B&B! You can choose your breakfast out of a menu and it is made every day with a lot of love. We appreciated the informations about what to do and where to go. Absolutely lovely! Very comfortable room, with access to a well equipped communal area. Great breakfasts and excellent recommendations for activities, restaurants, etc. 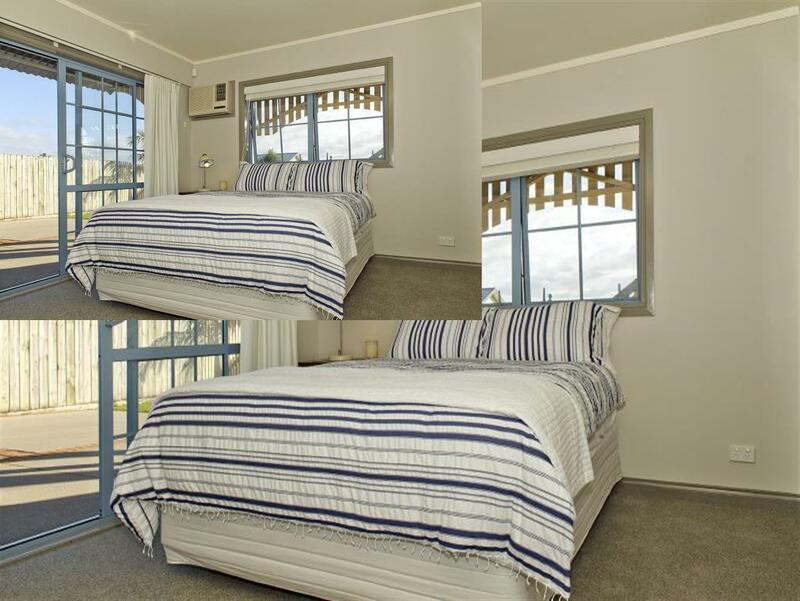 Clean, modern, quiet, very friendly hosts, attracts relaxed & friendly guests. Minutes from the beach, short taxi/scooter to town (close enough to hop in each night but far enough to get away from the noise) not for wild kids but good for couples & us with little ones. Wayne & Lizette gave us pointers for good beaches/cafes off the beaten track. Attentive but not too much, they do credit to the category; we didn’t want a B&B but we’ll look at them again unless we’re in Whitianga in which case we’ll stay here again. Sorry to gush but a great find. Wonderful hosts, lot of information and tipps of what to do, delicious breakfast, beach towels available. 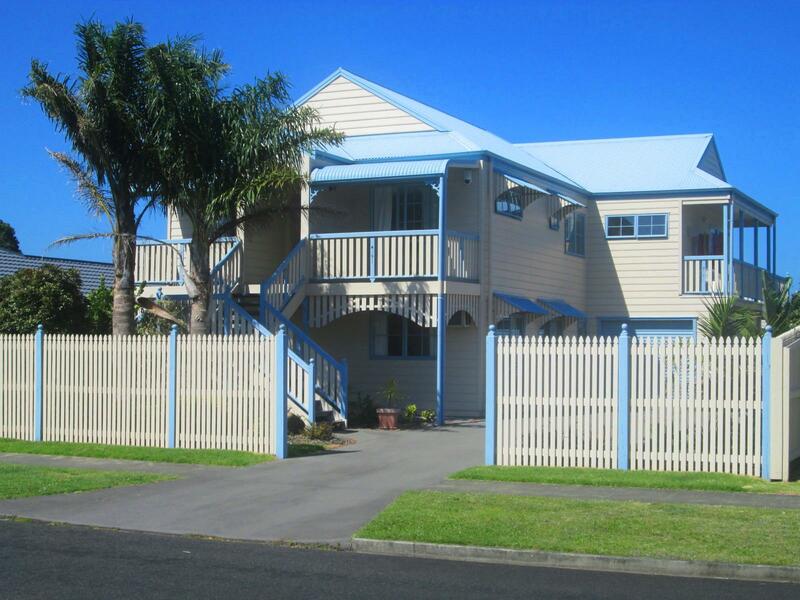 This B&B lies outside the centre of the town in a residential street some 150m from the beach. 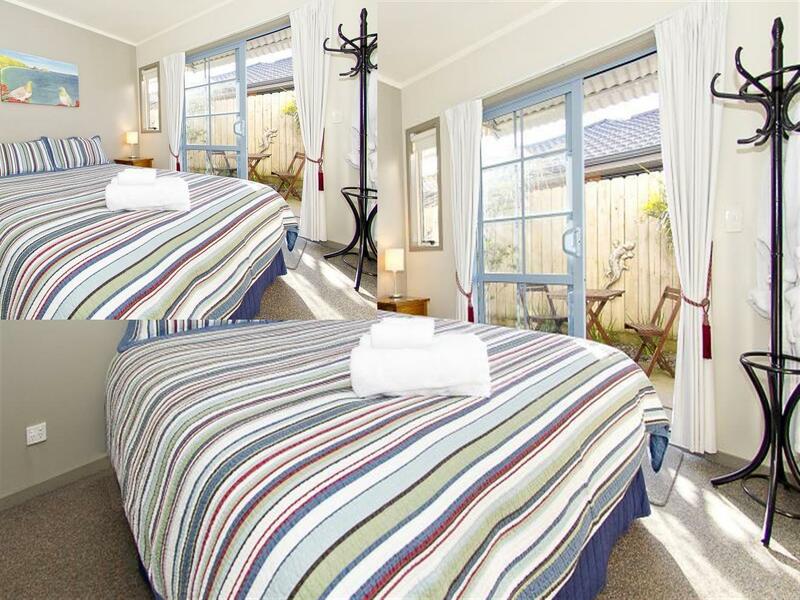 The room was very well presented and spotless with a very comfortable bed. Wayne and his wife made us extremely welcome and the dining room/lounge/kitchen was available for us to use at any time. The breakfast cooked by Wayne was excellent and plentiful and there was fresh fruit as well as usual cereals, yoghurt, juices etc. Wayne and his wife were lovely people to sit and talk to and they clearly love being hosts after originally working in Auckland. We would not hesitate in booked here again if we return to NZ. Super comfortable bed and hosts recommended great restaurant for dinner too. Lovely property with excellent communal facilities ( which we had to ourselves). Owners were very helpful and friendly and cooked and served an excellent breakfast to order ! We didn't spend very much time at Pipi dune, but it had everything we needed. Clean and comfortable, and a lovely breakfast. We stayed two nights at Pipi Dune and loved it. The room was comfortable and very clean. The bed was amazingly comfortable with beautiful high quality linen. Breakfast was fab and filled us for the day. Wayne and Liz were great hosts and we had greqt conversations over breakfast. Highly recommended. 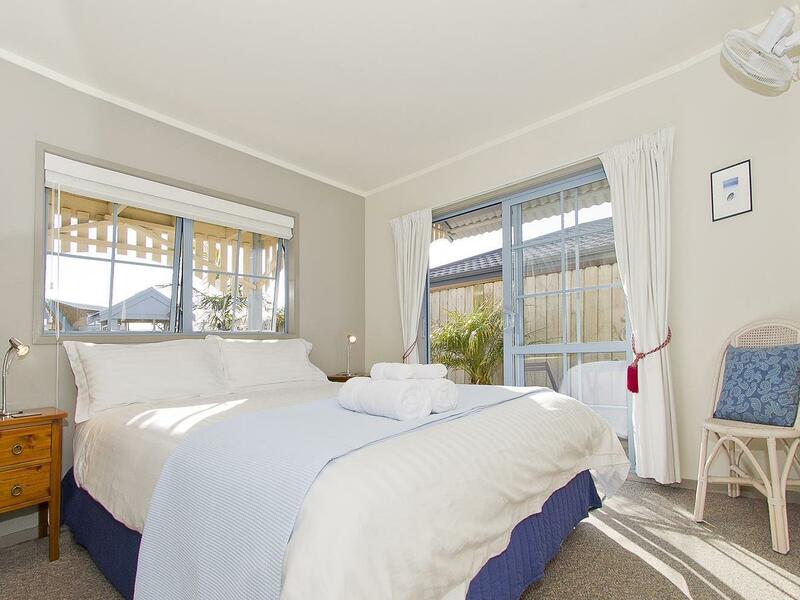 We spent a comfortable one night stay at Pipi Dune B & B and were made to feel very welcome. We arrived late at Pipi Dunes due to the weather, but the staff was still waiting for us until 9pm. We went there in non peak season, so we were the only couple who stayed there, the owner's family stayed on the first floor, so we had the whole floor to ourselves. They said what you get is what you pay, we felt we got more than what we paid, it definitely worth more than just $108. We went there with our two little children and they loved playing at the lounge room which was cosy. The room was clean and well decorated. Thank you Wayne for the delicious dinner on Christmas and breakfasts every morning. We really enjoyed our stay. Wayne and Lizette were so hospitable. The room was clean and well situated, lovely breakfast with different options and more than you could possibly fit in. The free wifi was fast and easily accessible. Comfortable bed and parking available. Good hot shower with lots of pressure. The surrounding town was centrally located in the Coromandel Peninsilar and so picturesque with many great restaurant choices. I would definitely recommend Pipi Dune B&B! Pipi Dune B&B is a very nice place to stay. Wayne was extremely friendly and helpful and makes a delicious breakfast (especially the apricots). The facilities are good and the rooms comfortable with lots of little touches to make your stay special. Only 2 things which may be an issue for some - the rooms are on the small side with not much space for large luggage, and the B&B while very close to the beach is about 20 minutes walk from the centre of town and all of the restaurants. (However we enjoyed the stroll along the beach to get there). Overall highly recommend. We had a fantastic stay at Pipi Dune - Joan and Vern were excellent hosts. The bed was super comfy and the room was well appointed, well decorated, and super clean. Kitchen facilities were excellent and Joan made us wonderful breakfasts. Our hosts went out of their way to make our stay enjoyable, with restaurant recommendations and advice on local attractions. Relative to other places we stayed, this was good value for money. Our only regret is that we didn't have more time to spend in the Coromandel area.